Posted by FTR ⋅ October 26, 2004Post a comment Email This Post Print This Post Tweet This! 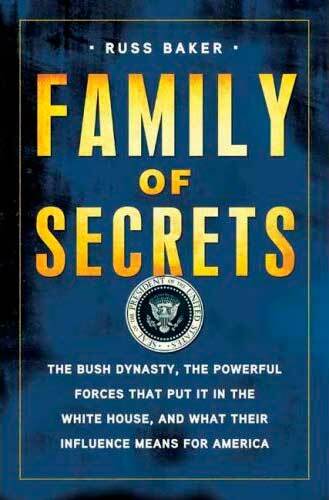 This program presents John Buchanan, the journalist who uncovered recent information adding to the growing body of knowledge about the Bush family’s involvement with Nazi industry. In addition to discussion of Prescott Bush’s participation in the Nazi flight capital program that moved the Third Reich’s funds out of Europe and into neutral countries after World War II, the program sets forth John Buchanan’s harrowing experience at the hands of vengeful government officials looking to punish him for his efforts. Another important discovery concerns John’s uncovering of the fact that Prescott Bush, Sr. was an early financier of the Liberty League, a domestic fascist organization that plotted to overthrow President Roosevelt in 1934. Program Highlights Include: Description of the establishment by listeners to this program of a website that features the declassified documents about the Bush family’s involvement with Nazi industry; John’s discussion of a law suit against the Bush family by two Auschwitz survivors; further revelations concerning the Bush-connected Hamburg-Amerika line’s pro-Nazi activities in the United States; a successful wager John undertook with The Guardian (a British paper) betting that they could not impugn the authenticity of the documents he had uncovered. 2. The substance of the Bush family’s involvement with Nazi industry can be found in the broadcasts cited immediately above. Mr. Emory feels it would be pointless to restate the details, in that they have been presented so often before. FTR#479 contains the most recent treatment of the subject. This program will only highlight aspects of the research that have not been discussed previously. 3. Among the points raised by Mr. Buchanan is the fact that after his articles were printed in The New Hampshire Gazette, almost no news organizations would follow up on the story. The Guardian engaged in a friendly wager with Mr. Buchanan, that no one could impugn the authenticity of the documents he had uncovered. John notes that recently two Auschwitz survivors have filed a $40 billion suit against the Bush family because some of their investments utilized slave labor. In particular, Mr. Buchanan notes that the Bush family had some stock in the Consolidated Silesian Steel Corporation, which used slave labor at Auschwitz. 7. Among the most substantively interesting of John’s recent discoveries is the fact that Prescott Bush was an early financier of the Liberty League, a domestic fascist organization that was the primary element in the 1934 fascist plot to overthrow President Franklin Delano Roosevelt. 8. The program reviews a passage from Martin Bormann: Nazi in Exile about the Nazis’ preparations for their postwar underground revival.